Often individuals, who are adjusting to life with a disability, need the benefit of talking to, and learning from, others with similar experiences. 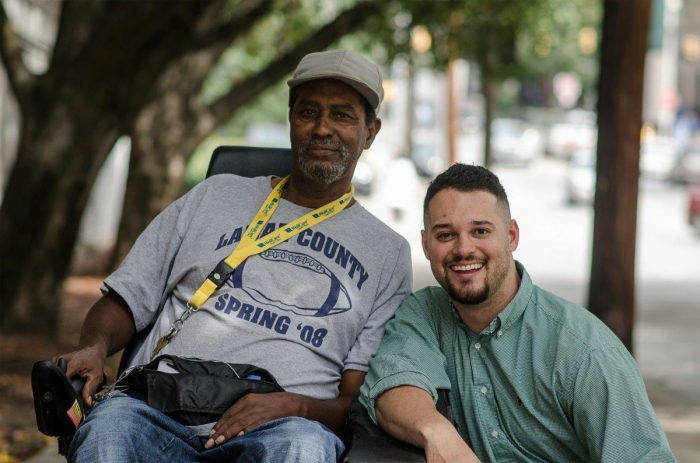 Peer to peer support is the heart of the Independent Living Movement and the philosophy of the Dayle McIntosh Center (DMC). For this reason, a majority of the employees of the center have disabilities and all engage in the provision of peer support. 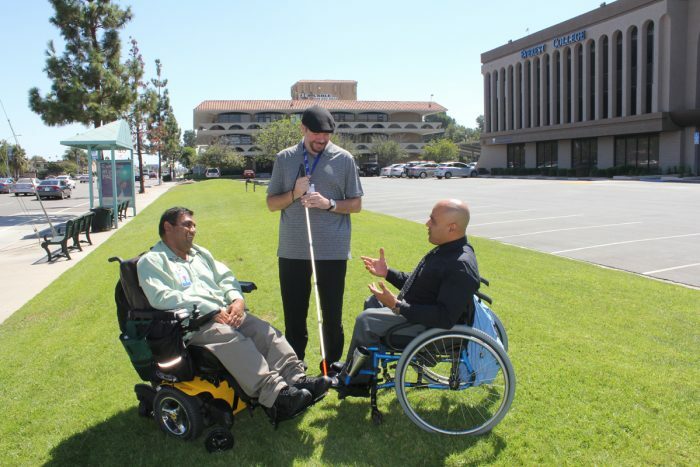 For more information about Cross-Disability Peer Support call 714.621.3300. People learn about DMC through health care personnel, case managers from other organizations, educators, friends, family members, and service providers. Many are self-referred. Peer support is a form of mentoring that takes place between a person, who has successfully adjusted to his or her disability and someone, who has a newly acquired disability or who is struggling with disability-related issues. Peer support offers people the opportunity to learn from others, who have established an independent lifestyle. The goal of such interaction is to promote self-confidence, enhance social skills, and introduce adaptive daily living techniques. Typically, peer support is provided by DMC in three ways. Individuals with disabilities contact the center to request assistance. Though requests may initially be for information or resources, responding staff members may determine that callers might benefit from advice and support from others with similar disabilities. At this point, DMC employees may reveal their own disabilities and share first-hand knowledge and experience relevant to specific situations or they may connect callers with other staff members, who can offer appropriate input. Similarly, persons, who become consumers in various programs at DMC, may receive peer support through service coordinators with disabilities with whom they are involved. Finally, several peer support groups are coordinated by the Dayle McIntosh Center. In group settings, people come together to discuss disability-related topics and to share issues and concerns. A peer support group may be targeted to individuals with a certain disability, individuals in a specific age range, from a particular ethnicity, or geographic area, or individuals from a designated program, such as Aging with Vision Loss. Other peer support groups are cross-disability in nature and have no restrictions. One-to-one peer support is usually time limited so that individuals do not become dependent on or attached to staff members providing the service. Peer support groups set their own limitations or may continue indefinitely. Consumers, who receive peer support are invited to complete a satisfaction survey when their case file is closed, giving them the opportunity to express their opinions of the effectiveness of the service. A 39-year old man contacted DMC upon learning that he had type 2 diabetes. He was devastated and fearful that he would lose his vision and eventually have to have an amputation. The man was linked with a staff member, who also had diabetes. The two began to talk. They discussed the man’s fears and the staff person gave him advice about ways he could control his diabetes and minimize the risk of such side effects. As the man began to apply these techniques, he shared his progress with his mentor. After a few months, the man was volunteering at a diabetes education program and helping others adjust to the disease.